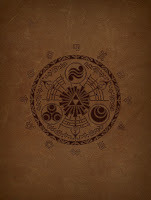 If you would like more detailed info, check out the old Hyrule Historia Info Post and the Hyrule Historia Tag. It's a book, officially released by Nintendo, that covers the whole Legend of Zelda series: from the original game up to Skyward Sword. Basically half of the book is timeline and story information, the other half is concept art from almost all these games. It also includes interviews and other information. 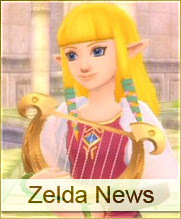 The book's Editor is one of the series' main creators, Eiji Aonuma. It also includes a 32 page comic, a "prequel to Skyward Sword" if you will, which was done by the current manga-ka's for the series: Akira Himekawa. 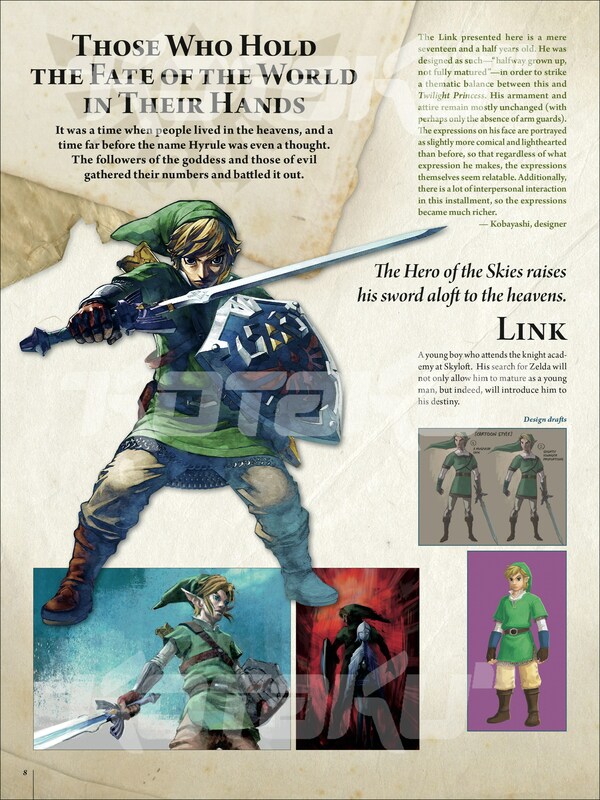 Peek Inside the Japanese Version, here's a released page in English, and here's the Skyward Sword Prequel manga. 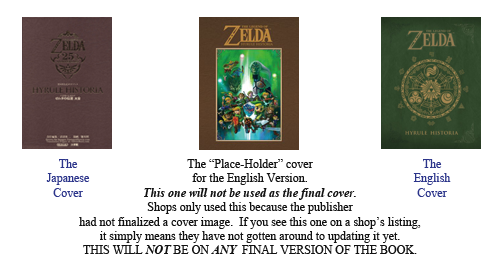 Eventually, Nintendo of America approached Darkhorse (Comics/Publishing) and they agreed to bring it out in English. You can pre-order the English version now. The release date is/was January 29, 2013 for most shops. A Note: It looks like the release date is being moved around a little bit by the publisher's shop. I would not be worried about this at all: I'm just thinking that this might mean newer orders might be shipped a little bit later due to demand. I could also be wrong and/or they could just have the wrong info listed. If you pre-ordered it from TFAW, the publisher's store, a while back: you got a slightly earlier release date of January 16, 2013. 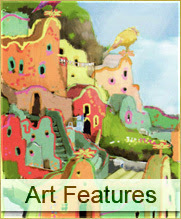 They now have a release date of February 12, 2013. So... I'm basically just saying I'm not sure how this affects orders or orders made on other shops. The Limited Edition English Version is a newer development. You can find info on that version of the book at this link. The base price/list price is $34.99 USD. (Many shops have a great discount price on the pre-orders.) The ISBN in every country is 978-1-61655-041-7. It's hardcover, 9x12 inches, full color, the cover is stamped foil, and it's a total of 276 pages. The page count varies on different sites. * (this is old info; see the update just below this paragraph) Just know that I've checked with the Editor of the book for the English version and that he's confirmed that it should have all the same stuff the Japanese version has. The Japanese version has 272 pages. So it will at least have 270 pages. If you see 280 pages listed for the English one: those may be filler pages or .. it may have slightly more content? I can't really speculate on that much. I don't know why some shops have 280 pages listed. If you see 248 pages, that is an OLD number that they have forgotten to update on their shop: again, that is a confirmed fact from the book's Editor. -- ??? Until I know more, just do an ISBN search on AU bookstores. -- ??? Until I know more, just do an ISBN search on local bookstores. You can also ALWAYS call a bookstore in your town and see if they can order it/import it for you. For example: Kinokuniya is very reputable, I use them a lot, and they have many world-wide locations. I call them when I use them, but you can probably email them too. Since the English release is pending, I will not be posting links to English fan-localization efforts on this page. 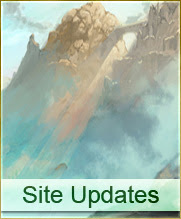 Until there is release info for other languages, I will provide links to fan translations for any other language. If you know of other sites with translations, please email me the links (or leave them in the comments) so I can add them to this list. This is the original version of the book that was released in Japan and is in Japanese. This is NOT the english version I've posted info for above. Purchase: Shogakukan, the book's publisher, only ships within Japan but, if it's in stock at the publisher's shop, THEN many local bookstores, like Kinokuniya, can import it for you. The shipping should be much cheaper this way. Kinokuniya also, very often, has it in stock on their shelves in their actual stores. That means NO shipping fee. Note: The Japanese version is actually slightly smaller in size (dimensions) than the English one.This means that there's not much of a reason you would need to worry about buying the Japanese one unless you're just a collector. I do not know what the difference in print quality will be like yet though, I'm just hoping the English one will use even better paper-stock & printing.